Plants, to keep growing absorb through their roots about 30 different nutrients and minerals dissolved in water. In nature, as leaves fall and plants die, they decompose and return nutrients to the soil, maintaining the natural balance. However in our gardens were we are forever clipping, mowing, weeding and tidying and by removing the plant ‘bits’ that would naturally rot down, we are actually depleting the soil of its nutrient reserves. So, if we want our garden plants to grow up big and strong, we need to ensure they’re not ‘undernourished’. And that’s where fertilisers come in – they help to keep the soil full of nutrients. Regular watering is essential for summer bedding, vegetables, pots and hanging baskets as well as newly-planted trees, shrubs and herbaceous plants. We offer excellent service and feeding programmes to look after your plants properly so that they can make best use of it and so that we don't waste this valuable resource. Hand watering, feeding and deadheading of window boxes external pots, hanging baskets and terrace containers can be arranged and tailored to your personal needs. As well as above in our section of Irrigation and watering we offer excellent quality Micro-drip irrigation systems which can be installed to deliver water directly to where the plants can use it. Applied slowly, water gradually soaks to the roots, rather than running off or evaporating. It will save you time and reduce the amount of water that's wasted. 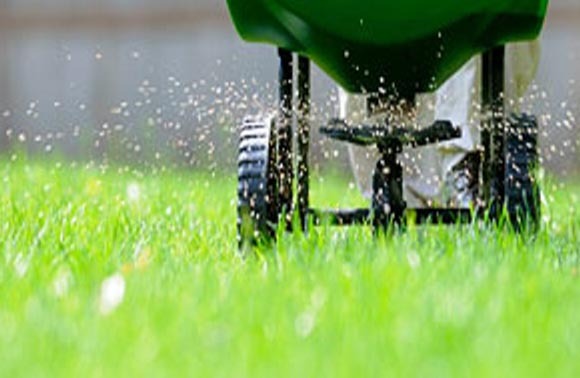 We can also help with weeding and growth control around your garden. The bigger your weeds get, the more difficult they are to control. It's best to get into the habit of a once-a-week weed patrol to cut your weed problem down to size, however We understand people may not be as agile as they used to be, or have the time they would like to keep their gardens. Using the right tools and techniques, we will make weeding and overgrowing manageable. We are more than happy to remove weeds from your flower beds and leave them looking fresh and tidy, leaving you to simply enjoy your outside space.